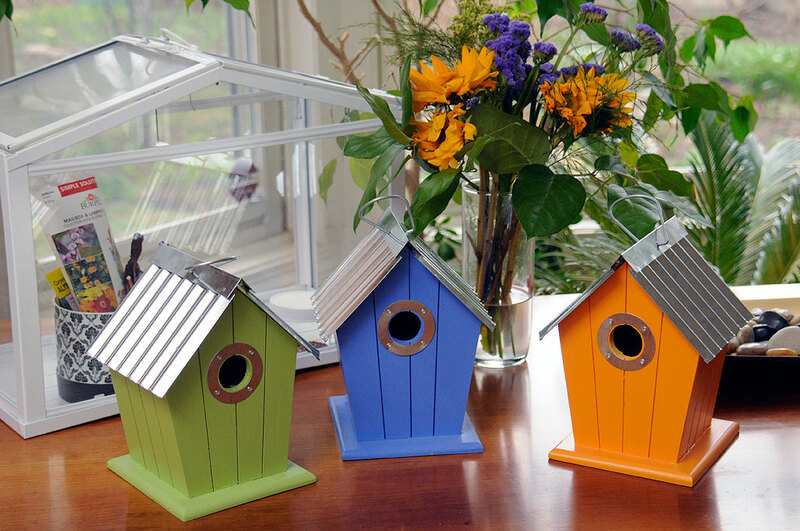 When we found these whimsical bird cottages, available exclusively at Gardener’s Supply Company, we knew that they would be perfect for the RainyDayGarden. They come as a set of three (one of each color), have a metal roofs, and are perfectly sized for song birds such as nuthatches, titmice, wrens and chickadees. The blooms on the trees and vines in RainyDayGarden have started coming in. We thought it best to get the bird cottages up ASAP, but the weather did not cooperate. Things finally cleared on Sunday and so we took advantage of the opportunity. Without any leaves to obscure things, it was easy to find just the right branches for them. The splash of color is in stark contrast to what is in the garden at the moment, but that will not last long. The buds on the trees and vines are getting bigger every day and a dusting of green is beginning to spread. While they may look a little out of place just hanging on a bare branch, once the garden fills in they should blend in perfectly. We hope the interns got these bird houses up early enough for the first brood of the season. 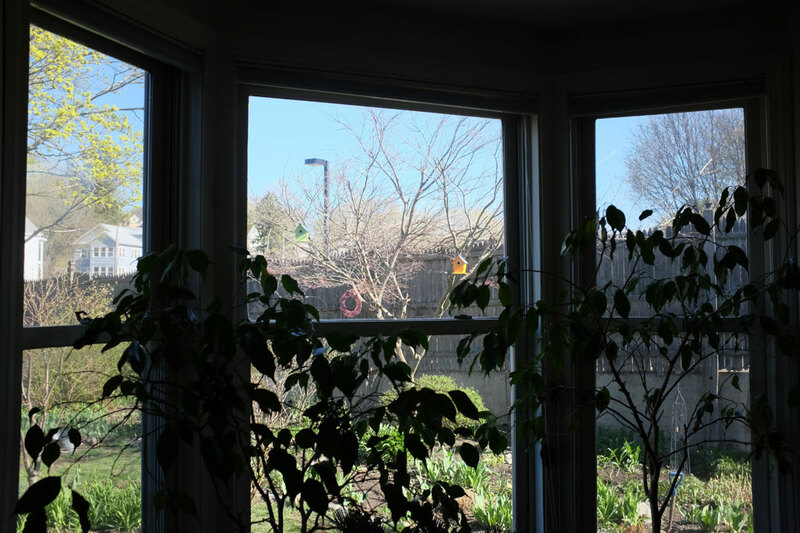 It will be exciting to have song birds nesting in the RainyDayGarden again. We can see and keep an eye on the cottages from the inside. However, if we are successful in enticing song birds to take up residence, we may have to check out some bird-cams for a closer look. Stay tuned.